Here is a look at how a diverse group of major and minor organizations have recently ranked San Francisco on a wide variety of important and whimsical measures. 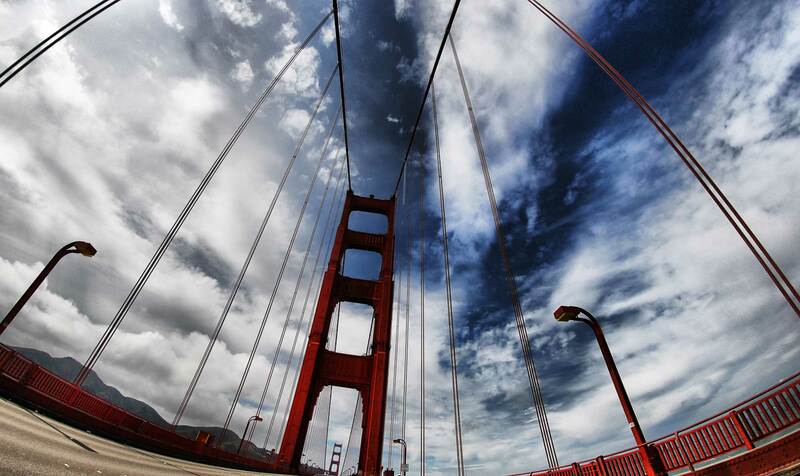 Where disagreements existed — 3 different surveys ranked SF as the 1st, 2nd and 3rd “Greenest City” in America, and 2 surveys ranked us as second and third smartest city in the country — we naturally chose the highest grade as most accurate. 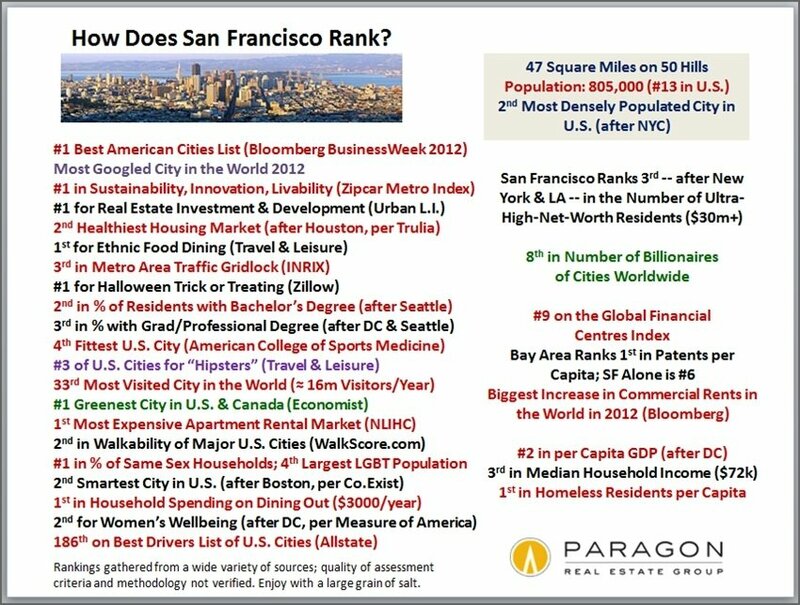 The ranking report is followed by some fascinating snapshots of the San Francisco and Bay Area real estate markets. 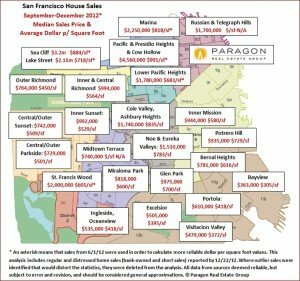 This mapped analysis calculates median prices from both distressed and non-distressed property sales around the Bay Area as reported to MLS. 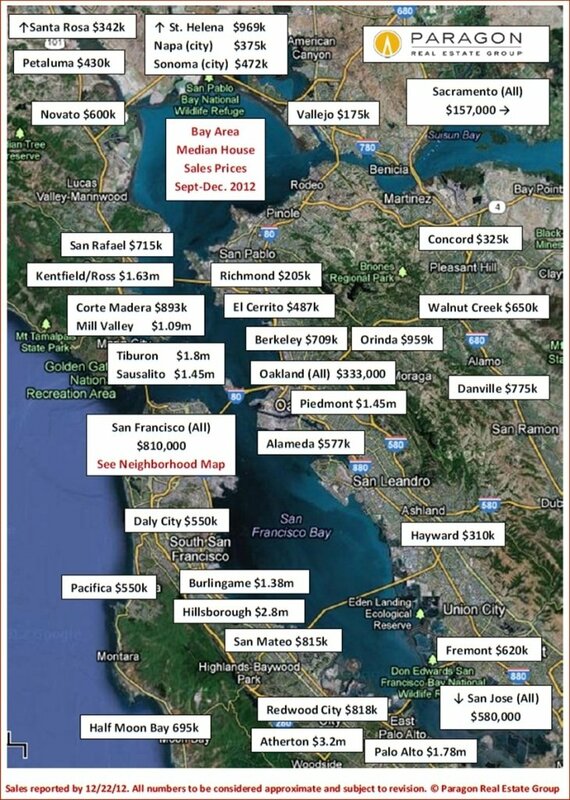 Median price is a very general statistic and many cities include districts of wildly varying value. 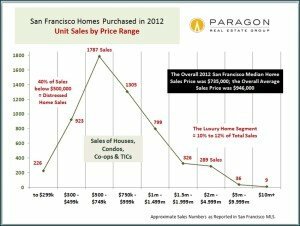 For example, San Francisco contains neighborhoods whose median prices vary by over $4,000,000: The overall statistic mixes them all up together and comes up with $810,000. Maps with SF neighborhood values are included later in this report. 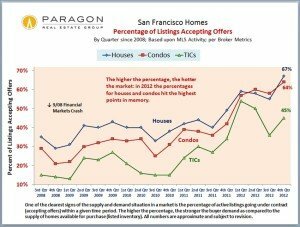 Exactly a year ago, we suggested that, based upon the changing market and economic dynamics we perceived developing in 2011, the SF real estate market was on the cusp of a major turnaround in 2012, possibly similar to what occurred in 1996 when the market blasted off after years of doldrums. And that is what happened, not only for the city, which led the way early in the year, but for the Bay Area, state and country somewhat later. 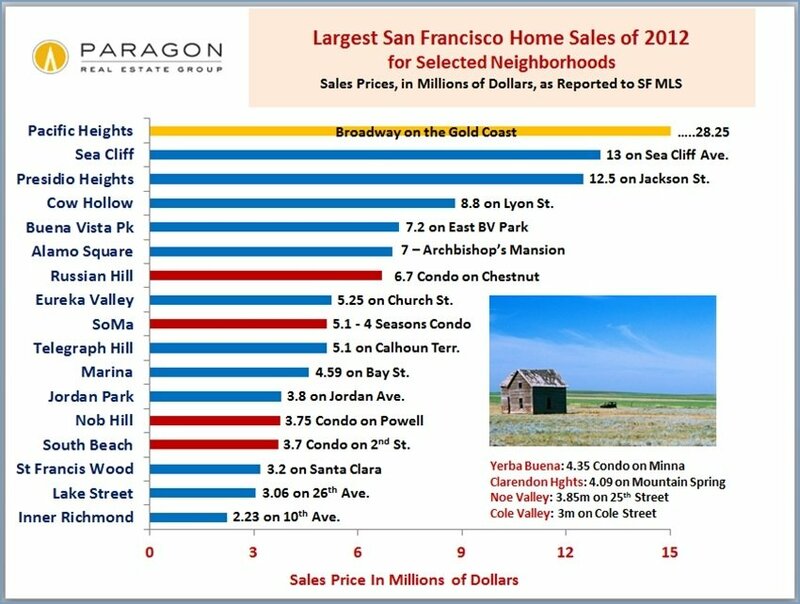 Note that the SF house median price quoted here for 2012 is for 4th quarter non-distressed sales only. Very generally speaking, and depending on neighborhood and property type, SF home values have risen by 10% to 20% over the past year. 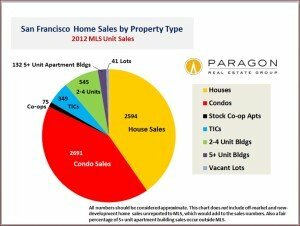 Here is a chart assessing the surprisingly consistent change in overall SF condo value statistics and this link looks at SF house statistics. Distressed home sales have been a market aberration caused by the collapse in loan underwriting standards and the refinancing frenzy of the bubble years. Fair market value is defined as “the price a willing, able and reasonably knowledgeable buyer would pay to a seller not under distress.” But bank and short sales radiate distress: underwater sellers, overwhelmed and unresponsive banks; often the physical condition of the homes themselves is distressed. Buyers demanded a huge discount to deal with them. 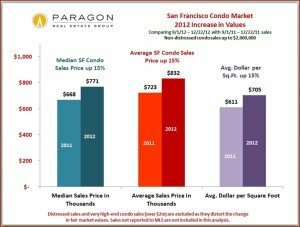 In SF, this market segment was largely confined to the lower price ranges and less affluent neighborhoods. 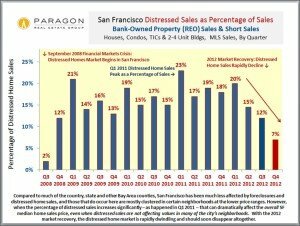 Now, with the market recovery, the city’s distressed home market is rapidly dwindling and should soon disappear altogether. This one statistic provides the context to everything we’ve seen in the market this past year: ferocious, pent-up, buyer demand met a drastically inadequate inventory of homes for sale, leading to much more competition for listings and strong upward pressure on prices. 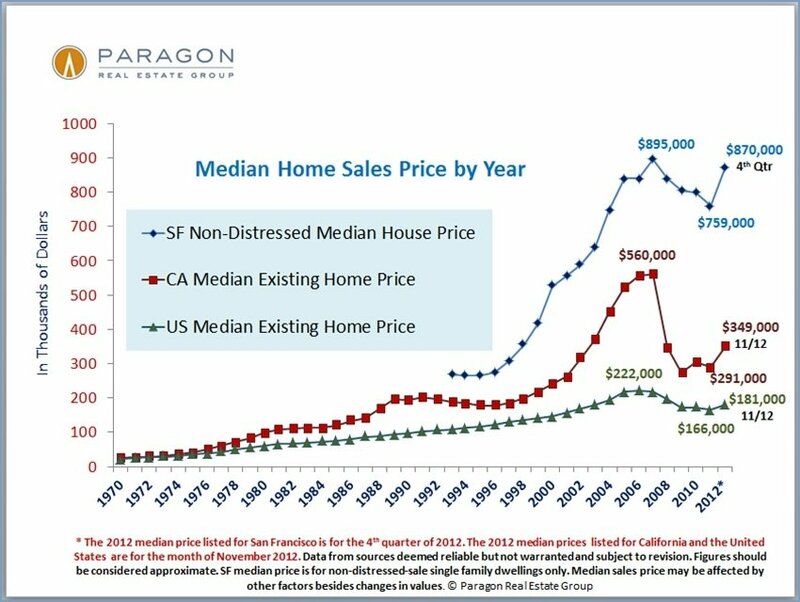 Median SF home prices vary on some of the charts above, depending on whether the price specified is for both distressed and non-distressed properties together, only non-distressed homes, for the last 4 months of 2012 or for the last quarter of the year, or whether price limits were placed on the analysis (limiting sales to under a certain sales price). This is natural: the statistics will change depending on the parameters of the analysis, and it’s always useful to look at the market from slightly different angles. Statistics are generalities and should be considered approximations: How they apply to any specific property is unknown. These analyses were performed in good faith with data derived from sources deemed reliable, but they may contain errors and are subject to revision. If you have any questions, please don’t hesitate to contact us.